The couple, who had been engaged since June 2018, have each won the "Dancing With the Stars" competition with their celebrity partners. 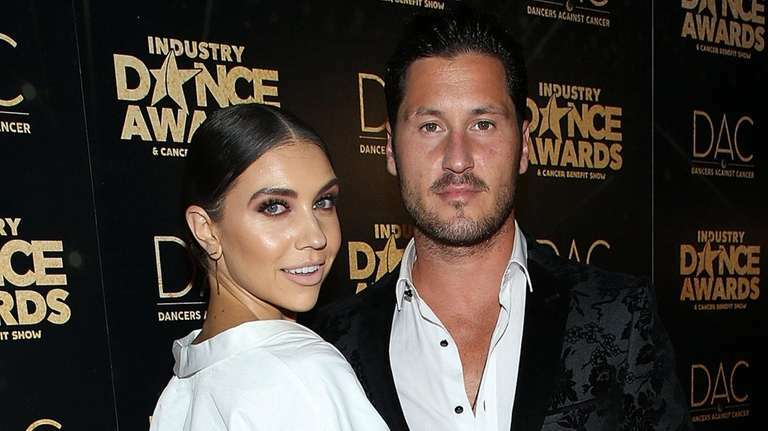 "Dancing With the Stars" ballroom professionals Val Chmerkovskiy and Jenna Johnson were married Saturday in California. People magazine said two-time mirrorball champion Chmerkovskiy, 33, who was paired with Westbury-born "The Facts of Life" star Nancy McKeon last season, wed Johnson, who is in her mid-20s and had won the previous season, in an oceanside ceremony at the Terranea Resort in Rancho Palo Verdes, California. "Mr. & Mrs. Chmerkovskiy 4.13.2019," each posted on their respective Instagram accounts, with a People-branded wedding photo. 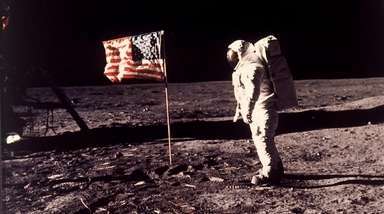 Among those offering congratulations in the comments on the newlyweds' Instagram accounts were fellow "DWTS" dancers Sharna Burgess and Allison Holker, and such past contestants as former Giants running back Rashad Jennings, former "The Wonder Years" star Danica McKellar, Olympic gymnastics icon Mary Lou Retton and "Property Brothers" star Drew Scott. The couple became engaged in Venice, Italy, in June. Johnson wore a long-sleeved Vera Wang wedding gown and a custom headpiece and veil crafted by Bridal Styles Boutique, the People said, and a white Kleinfeld dress at the reception. Her bridesmaids included "DWTS" dancer Lindsay Arnold, "So You Think You Can Dance" ballroom pro Gabby Diaz and, as bridesman, Olympics-medalist figure skater Adam Rippon, her partner in winning season 26. Johnson's co-maids of honor were her older sisters, Stacy Johnson Bills and Jill Zenger. The Ukraine-born Chmerkovskiy wore a custom black-velvet tuxedo made by Brooks Brothers. His best man was his older brother, "DWTS" dancer Maksim Chmerkovskiy, who in 2017 married "DWTS" dancer Peta Murgatroyd at Oheka Castle in Huntington. The wedding bands were from Manhattan's Jacob & Co., and the five-tier wedding cake from the Vanilla Bake Shop in Santa Monica, California, People added. The couple's first dance was to the Édith Piaf classic "La Vie En Rose." Among the guests were "Dancing Wtih the Stars" pros Murgatroyd, Brandon Armstrong, Mark Ballas, Alan Bersten, Cheryl Burke, Witney Carson, Artem Chigvintsev, Sasha Farber and Emma Slater, "DWTS" troupe dancer Hayley Erbert, as well as some of the couple's celebrity partners, Joe Amabile, Normani Kordei, Laurie Hernandez and Ginger Zee, plus actors Candace Cameron Bure and Alfonso Ribeiro, and pro wrestler and reality-TV star Nikki Bella. When he proposed, Chmerkovskiy wrote on Instagram, "I can't wait to make you my wife," and posted a photograph of himself on bended knee before an astonished Johnson. The bride-to-be, using the same photo, wrote, "I knew the moment I met you, you were the man of my dreams and I wanted to be with you forever. Babychka Мой любовь thank you for making my fairytale come true today!" she said, using an endearment followed by "my love" in Russian. "Cannot believe I get to call you my FIANCÉ!!!!"